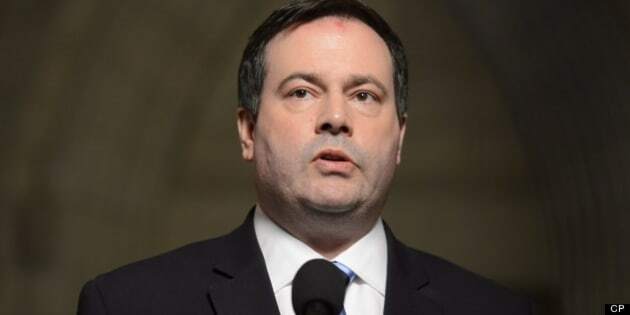 OTTAWA - Federal Employment Minister Jason Kenney says Ottawa is willing to extend to other provinces the measures it has given Alberta for some of its temporary foreign workers. The Alberta Federation of Labour says the Conservative government has caved in to pressure from low-wage employers who want to hold on to "exploitable" temporary foreign workers for a longer period of time. "Last June, the Harper government promised to limit the number of TFWs that low-wage employers could use. But now, they’ve quietly broken their promise and changed the rules," AFL president Gil McGowan said in a news release Tuesday. "So this is a little tweak to assist people who are in most cases probably going to get permanent residency anyway. It just allows them to stay in Canada until that decision is made," Kenney said to reporters after Question Period Tuesday. "If other provinces have a similar circumstance where they have a backlog in their immigration program and they have a similar concern, we're willing to extend the same policy to them in principle."